The landslide in this VIS image is located inside an impact crater in the Terra Cimmeria region of Mars. 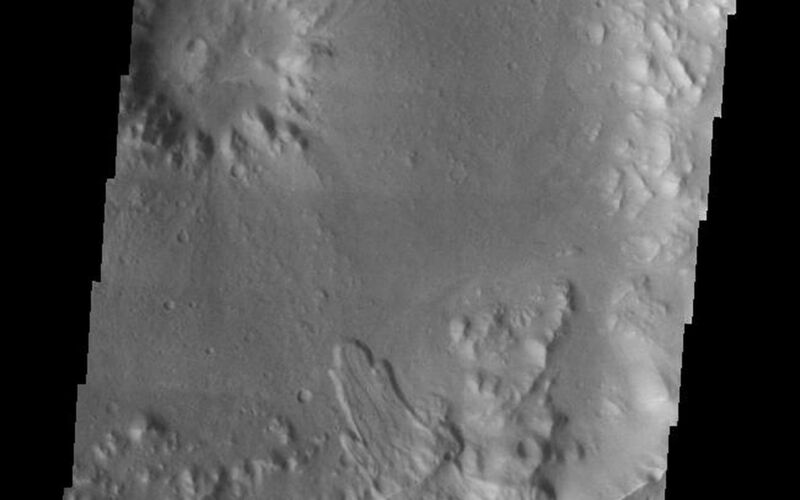 The unnamed crater hosting this image is just east of Molesworth Crater. Image information: VIS instrument. Latitude -27.7, Longitude 152 East (208 West). 19 meter/pixel resolution.